Two geese calling incessantly approaching from the shadows across the Mill Gut, falling silent and flying ten feet overhead and ten feet to the east, then resuming their calling as they skimmed the surface of the bay lit by the glow from the sky. A beautiful set of changing sunrise colors, a bright half moon straight up in the sky. 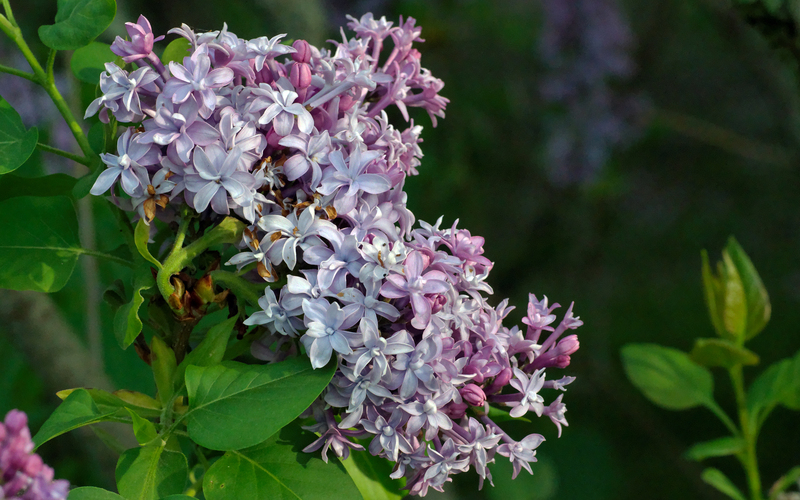 All kinds of songbirds, the ground under the cherry trees – which would have been in full bloom this past weekend if it hadn’t been for Thursday and Friday’s wind and rain that blew down the petals – strewn with a thick layer of pink petals. 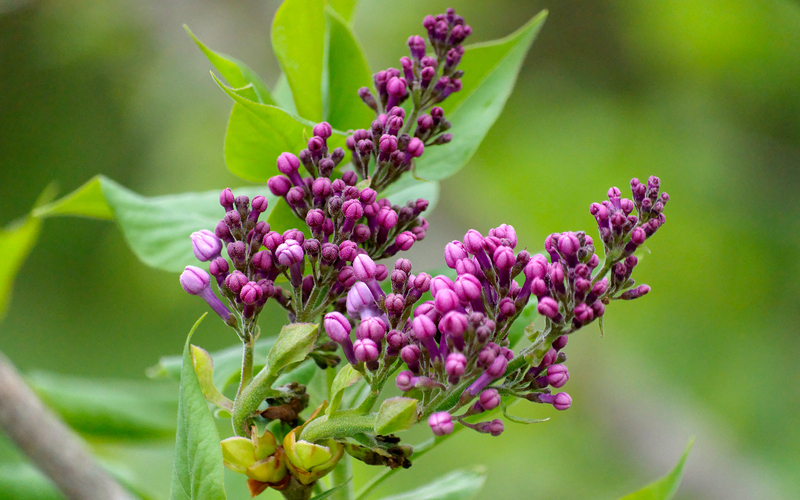 The grove of lilacs blooming behind the cherry trees is giving off a cinnamon-like smell that persists for perhaps a hundred yards. Turning past the head of Bristol harbor, it was quiet enough to hear the whooshing sound of the beat of a heron’s wings coming up behind me, then flying on south towards Bristol Marine Services. Temperature in the upper 50’s, very hard to beat. 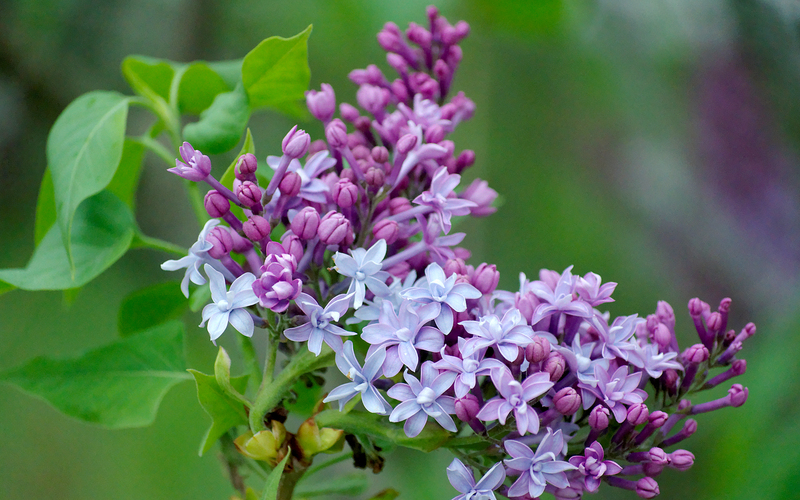 The final stages of lilac blooming on the stem I’ve been tracking are below: April 18th, April 25th, and May 2nd.